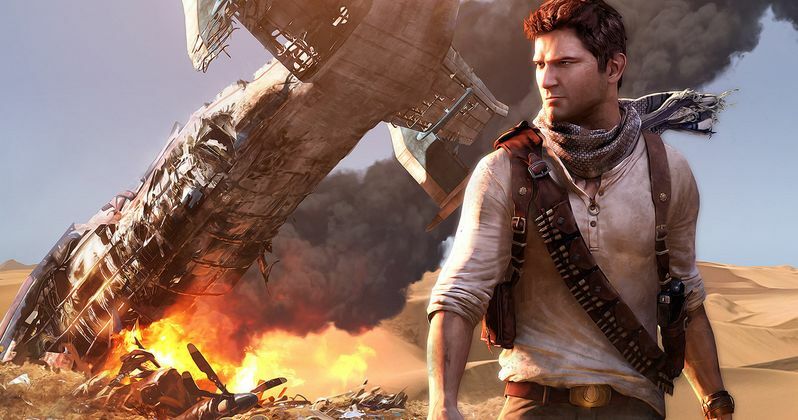 It looks like the Uncharted movie may actually be filming in the relatively near future. This is a project that has been in development for a very long time and has gone through several different stars and directors who have failed to actually get it off the ground. Shawn Levy, known for his work on the Netflix hit Stranger Things as well as movies like Real Steel and Night at the Museum, is currently attached and has been developing the movie with Spider-Man: Homecoming's Tom Holland set to star as Nathan Drake. Now, we have an update from Levy on the status of the project. Shawn Levy is keeping himself busy working on Stranger Things season 3. The series recently received several Emmy nominations, including one for Outstanding Drama Series. Levy was recently interviewed in honor of his work on the Netflix series. However, he took a moment to talk about what his next movie project is going to be, as he's attached to both Uncharted and a Starman remake. Levy reveals that Uncharted is much closer to completion and that they have a very good script in hand. Here's what he had to say about it. "I mean, as of right now, the closest to the starting line is "Uncharted" in that it's a massive title. We now have a very good script and we have our star in Tom Holland. That is now subject to schedule and additional casting. But I would say as of right now, that seems to be the most near horizon. And it's a movie I'm very excited about. And I will tell you, you know, Stranger Things has been, on a day-to-day, every single day, basis, every bit as gratifying as any movie I've directed. It's just, not only the popularity of the show and the outcome, but as I just experienced while directing season 3, it just remains inspiring on a daily basis, in a way that few movies ever are. So, you know, it's definitely keeping me more than busy while I wait for the right movie and the right moment to line up on the feature side." It's important to look at his talk of Stranger Things as well as the update he provides on the status of Uncharted. It appears that Shawn Levy is very happy to focus on the sci-fi series until the exact right movie lines up at the right time. It certainly appears that Uncharted could be that movie, but he doesn't seem eager to rush it, especially if things don't seem quite right. Video game movies have still proved to be a tricky egg for Hollywood to crack. Uncharted has gone through several iterations, but Sony has now settled on a long-term play with Tom Holland set to play a younger Nathan Drake, which will differ from what we see in the games quite a bit in that respect. Nathan Fillion has remained a popular choice amongst fans and that was bolstered in a big way recently with the incredible fan film the actor released. Despite that, Holland is a young, bankable star that could possibly carry a franchise for many years to come. Then again, that may be putting the cart before the horse in some respects. Before one can have a franchise, there needs to be at least one good movie. Hopefully, Shawn Levy is the guy to make that happen with Uncharted, which doesn't currently have a release date set. This news comes to us courtesy of The Playlist.